Song Review: Nas and Jay Z - "Black Republican"
Jay-Z was raised by his single-parent mom Gloria. His father Adnes Reeves, who is now deceased, walked away when Jay was only 12. Left with no father figure to model after, young Shawn turned to the streets of Marcy for inspiration. He delved into drug-peddling and became involved in various clandestine street activities. He soon capitalized on his hustle and became a street rapper known as Jazzy in his neighborhood. He later modified the name to Jay-Z. With a home on which to build his rap staple, Jay-Z quickly scored with the classic debut Reasonable Doubt. The album only reached #23 on the Billboard charts, but it's widely recognized as an indisputable hip-hop masterwork. 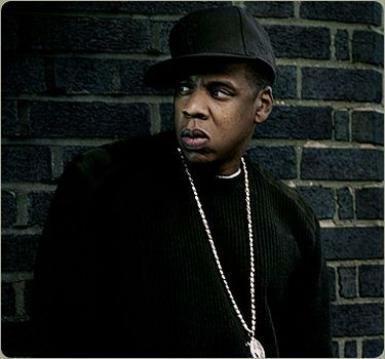 Led by singles like "Ain't No N****a" (featuring another budding rapper known as Foxy Brown) and the Mary J Blige-assisted "Can't Knock The Hustle," the album embodied details of Jay's street dealings and difficult childhood. But, his witty wordplay coupled with an exceptional flow was the highlight of the show. In September 2006, Jay-Z announced that he was ending what he described as "the worst retirement in history." On November 21st, Jay snapped his three-year hiatus with the release of Kingdom Come, his ninth solo album. Despite the album's lukewarm reception in the media, it charted at No.1 with 680,000 scans. American Gangster, a concept album inspired by the similarly-titled movie, followed a year later. In September 2009, Jay concluded his Blueprint series with the release of Blueprint 3. In December 2007, Jay-Z decided to step down as Def Jam president, following the expiration of his contract. Jay Z made two major moves in 2013: First, he rewrote the record industry rules by unveiling his album, Magna Carta... Holy Grail, exclusively through smartphones. Then he dropped the hyphen. About Entertainment in your inbox.